In the last segment of this article, special focus was placed on the importance of having a correct grasp of the Doctrine of Correspondences when undertaking the traditional operations of magic. The commonly held understanding of how magic works (which we have explored in some depth across multiple ArkLetters) did not allow for the modern sense of creativity and free association. Instead, classical sources were mined and collated to standardize a grid of connections that a magus could trust to be both coherent with prior tradition, and sanctioned by the contemporary Church. In the centuries-long process of assembling the magical canon of correspondences, ancient lines of relationship were painstakingly drawn between the Heavenly, angelic, planetary, human, and demonic forces at work in this world. These connections had become quite well known by the time of Agrippa's encyclopedic compendium. Postmodern culture values individualism over conformity, innovation over tradition. Therefore we have a hard time reaching back to the attitudes governing the magi of the Renaissance and the Reformation. In those earlier times, value and relevancy were only assured by having recourse to ancient authority, be it the Bible, the Hermetica, or the prisca theologia. Due to the belief that previous generations had lived in the so-called Golden Age, a world that was less corrupted and therefore closer to God's intended plan, anything old was seen as better and more true than contemporary innovations. In such realms as agriculture and medicine, this attitude enforced such a conservative trend that few if any breaks in accepted practice appeared even across multiple centuries. This kept conditions unchangingly medieval across Europe from century to century, leaving people unaware of technological advances employed in other cultures and therefore vulnerable to natural setbacks such as climate change and plague. But in the realm of dealings with invisible forces, this same conservatism preserved the ancient Hebrew, Arabic and pagan understandings upon which both ecclesiastical and secular magical practice were grounded. As the history of magic in Europe comes under greater scrutiny and is therefore better understood by modern scholars, it becomes easier and easier to see how this habit of mind built up over time into the coherent and overarching theory that governed the subject by the time of the appearance of Tarot. We no longer see this respectful conservatism at work in the literature of modern magic. For one thing, in America our understanding of the subject is over-impressed with the "creativity" of a few people whom modern advertising dubs the premier magicians of the 20th century, most notably A. E. Waite, William Westcott, Macgregor Mathers and Aliester Crowley. Add to this the fierce competition that moderns seem to be universally engaged in, to define themselves as inventors, innovators and breakthrough thinkers. Countering the adage that "everything old is new again," we live in a climate that very nearly worships the most unprecedented and oddest developments that can be served up by the imagination. Never mind that new in this case means untested, ungrounded and lacking connection to the established eggregor (astral body) of magical discipline. In our era, it is assumed that novelty is always better, whatever havoc is wreaked upon settled and time-tested systems inherited from the past. Let's look at an example of this process that's currently playing out in modern esoteric circles: Martinism is a lineage of Gnostic Cabbalism that has its roots in the work of the Christian mystic Jacob Boehme and the Rosicrucian movement. Martinism and its offshoot the Elus Cohens fueled the subsequent movement called Illuminism. Heirs to the polymaths of the 1600's, (most notably Kircher), the Illuminists achieved a more profound understanding of the alphabetic mysteries then the Renaissance magi, whose contacts with Kabala were necessarily limited in both access and comprehension. The Illuminists had enough exposure to a range of Hebrew sources to overcome the first stuttering misunderstandings that plagued the Christian Cabbalists of the 1500's. Educated interest spread to include Greek, Latin, Coptic, Druidic, and Sanskrit languages, thereby broadening the base of their magical access and offering a multicultural range of magical techniques and sacred power-names. Nevertheless their linguistic and magical experiments were still generally categorized under the general heading of "Cabalism", leading to a certain amount of confusion and conflation that magical practitioners are still trying to untangle today. In a future article called The Gordian Knot of the Greek Alphabet, I will take some steps towards untangling those threads for my readers. I hope this will begin the process of solving the confusion people feel when they encounter Tarot decks that are in direct conflict with each other regarding their astro-alpa-numeric (AAN) attributions. Examination of the Martinist and Elus Cohen's historic teaching materials reveals a deep vein of respect for the tradition of number-letter correspondences, which we already know were always a prime concern of the Renaissance Magi. Despite the fact that the Illuminist's interest in Cabbalism fell between the cracks of either "pure" Judaism or "pure" Christianity, their teachings were in strict accordance with accepted Hebrew alphabetic tradition. Their practices of theurgy and ritual magic were grounded in the Old Testament; the ancient AAN correspondences, images, and sacred Names were in harmony with that model, while all the time keeping in mind Christianity's elaborate rules and strictures established to protect the practitioner from invasion by demons and underworld spirits. With this historical background in mind, I found it startling several years ago to discover within modern Martinism a branch that condones breaking all affiliation with the original Martinist orientation towards tradition. These moderns favor working their magic using every possible combination of number-letters, whether or not those combinations have meaning or precedent in historical practice. Furthermore, the writer I encountered in the course of this research was all but bragging that by exploring and exploiting combinations that had never existed in history, such modern "magikians" were exercising an order of creativity that put them on par with the original Divine creative impulse! The motive seems to partake in a glorification of an astral application of Murphy's law -- anything that can happen, will happen and even *should* happen, no matter what the consequences in the astral plane or in the world of human experience. My question is, what benefit accrues to this world by constellating the astral plane around every possible random combination of energies that could possibly be expressed? Do we not already have enough demons, devolutionary entities and atavistic impulses attacking the human noosphere, that we should be eagerly opening the door wider and wider with every passing generation? No doubt I am a conservative fuddy-duddy, but it is my considered opinion that this attitude is akin to throwing a boulder through the priceless stained glass window of a Gothic cathedral, then reassembling the resultant shards of fallen glass into an abstract patchwork to fill the hole left by the jagged rock. Ought future generations to accept that the hybrid results are the same thing as the intact window, or that the repair job is equal to the original work, just because it's made of recycled pieces? Yes, over time people with a memory of the original will die out, and history can be rewritten in an attempt to justify the change. But in no way is the old model being fairly represented by the new, nor can one say the two versions are "the same" just because the new version is made of the original glass reconfigured. This is the situation we are currently facing in the development of the 20th century trends in magic/magik. A fairly clear statement of the implications of this new trend in magic can be found at http://golden-dawn.blogspot.com . I might beg to differ about the relative placement of some of the entities mentioned on the Right-hand and Left-hand Magic lists, but the author does present an overview of the issues in a clear enough way that a neutral witness can see what's at stake. The hub of the argument boils down to one's root theory of magic, particularly regarding the practitioner's responsibility to mediate between the various planes of reality expressed in the traditional magical worldview. As the author Frater I. C. L. states quite persuasively, either one accepts that there is a Hierarchy representing an inherent ordering of Creation according to realities that exist beyond the human realm, or else one does not accept any concept of Hierarchy and therefore allows oneself the freedom to use any and all channels available to expedite the personal will. Every practitioner has to locate his or herself somewhere along this continuum, or they will find no solid ground available from which to launch their work. The reader is invited to examine these issues quite specifically in light of the controversy that appears when the traditional, Continental Tarot decks and their inherent correspondences are contrasted to the modern "innovations" in alphabetarian "magikal" practice introduced by the Order of the Golden Dawn and the Tarot decks inspired in their wake In my last decade of increasingly public discussion about these issues, it has been difficult for me to find even a handful of people who have made themselves aware of the huge implications invoked by this deliberate mutation of the traditional astro-alphanumeric canon of correspondences imposed upon historic practice by Waite and his contemporaries. Nor have I ever heard an explanation of this action that went any farther than the appallingly weak excuse that "these people wanted to have something of their own to work with, rather than accepting what had been handed down through history as standard practice". To bring this dilemma into a modern context, consider this: In the realm of nuclear power generation, genetically modified plant organisms, the rapid changing of the Earth's ecosystems and the deployment of stem cells in the creation of future healing modalities, we at least find that respected authorities are making efforts to monitor and control developments for the sake of the well-being of the existing creation, weak as such oversight might be in actuality. One might not agree with the philosophies or the motives of either the experimenters or their overseers, but in these cases the tinkerers are not entirely free to fulfill their wildest imaginations, regardless of the impact on the world around them. But where is the parallel informed oversight in the realm of magic? Even scarier to contemplate, where are the people who actually comprehend the stakes for the collective human psyche of this wholesale substitution of tradition by innovation? Do the modern practitioners of "magik" even think about the impact on the planet's eggregor, or those of the various spiritual and religious streams being mixed up and invaded by the resulting chaos effects indiscriminately set loose? I hope I am not alone in questioning the randomness and self-serving motives of the supposed "occult authorities" who have led us into the current situation. Among those who are capable of understanding the issues, who will stand up for our Tarot ancestors and make sure that there remain at least some pockets of intact Tradition in the face of this rising wall of "innovators"? A small minority of advocates for what is called The Perennial Tradition exists, mostly in Europe where the historical stream runs strongest and the traditional values have not entirely left the minds of living practitioners. But as the English language increasingly becomes the lingua franca of the world, and modern revisionist history becomes standard fare in the popular marketplaces of the globe, the danger is great that historical norms of study and practice will be buried under an increasingly overtopping pile of mutated theory and instruction. Now that we are over 100 years beyond the emergence of these altered models, who remains to teach and promulgate the ways of our ancestors, whose dedicated efforts developed this paradigm for us even at risk of their own psychic safety and literal well being? Our current era is certainly not the first time that the faces of the Tarot cards have been impacted by the tug-of-war between innovation and tradition. 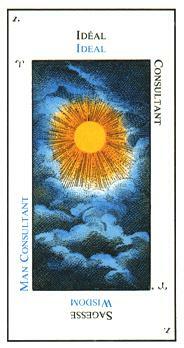 Twice before, Tarot culture has faced the threat of losing track of the light that animates its original inspiration. The first conflict took place in the 1600's, when a great surge of newly emerging alchemical experimentation began to affect the cards. The second episode took place through the popularity of the Etteilla packs, at the end of the 1700's, when the Trumps were so "adjusted" away from their original look and feel that it became hard to make the connection between the earlier packs and Etteilla's newly-envisioned images, modified for purposes of fortune-telling. I will only make a brief mention of the first event, it is something I have observed but haven't made much headway in researching. There is more to say about the Etteilla episode, which has great bearing upon the modern decks, and which has been incompletely explicated by the experts in the field. Hopefully those who come after will augment my fitful efforts, with circumstances and skills that can take the subject farther than these remarks can penetrate. In both cases, the influence for change was launched by esotericists and magi rather than being inflicted by outside circumstances. In the 1600's, it was the rapid proliferation of alchemical writings and art that allowed for the incursion. Anyone who looks through a collection of alchemical imagery parallel with the decks of the of the 1600's will see that the there seems to be conversation going between one and the other. Many of the same casts of characters that we are familiar with from the older Tarots appear in alchemical art, but with infinite variants of posture, activity, surroundings, and accompaniments. It's as if in the art of alchemy, the Tarot figures were envisioned to have walked off the cards and engaged with each other in novel combinations. This diversity seems to have been referred back into the Tarot as well, to judge from the image adjustment that began to pop up on the faces of the cards. Nobody knows what the first pack of Trumps looked like, unless we are fortunate enough to have some remnants of it in the catalogue of earliest whole or partial decks still in existence today. But if we use the Visconti family decks and the related Mantegna emblems as a reference point, it is clear that in the 1600's, ideas proposed in the early decks underwent a shift of emphasis. These earliest decks are graced with presentations that concentrate on the cultural ranks of society, the Angels, Muses and Virtues, the poetic Triumphs and certain popular myths and legends (Hercules, Diogenes, the Tower, Resurrection). But in the 1600's, we encounter entirely new themes under the older names-- for example, the Lovers becomes the Two Paths, the Star begins to sport astrologers making calculations, Temperance becomes an alchemist, and the Devil changes from the medieval hairy composite demon to Baphomet standing on an anvil holding a male and a female demon in thrall. Some of the pips take on suggestive embellishments as well, such as the alchemical wand on the two of cups, the lemniscate ribbon encircling the two of coins, and the shield on the four of wands. In a future article called The Grand Orient and Egyptian Masonry, I will discuss further the growing Rosicrucian and Freemasonic impact on the teachings associated with the Trumps, but for now my intent is to point out this line of demarcation between the earliest card sets and the later, standardized Marseilles pattern, regardless of cause or formative influence. No doubt the shift delighted some and distressed others, depending upon an individual's occult politics and philosophy. But what is notable, and marks a distinct shift between the truly ancient decks and the birth of what we now understand as the formal Marseilles Tradition, is that as of about 1660, a standardizing impulse seizes the Tarot, after which these diversifying reinterpretations are restrained and the form of the Trumps becomes considerably more predictable. We are not talking here about such a massive restructuring of the card pack that the later sets must be understood as being an entirely different breed than the former ones. As mentioned before, Tarot has overall held such strong continuity that a pack from the 1400's or the 1700's can be employed just as handily as any modern deck in a divinatory situation. Nevertheless, after the 1660's there seems to be a collective agreement going forward among the Tarot printers in Europe to tamp down any further urge to experiment upon their faces. 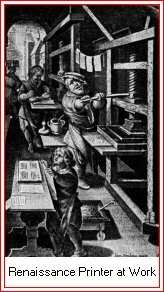 I have heard a rumor that the printer's guilds across Europe came to an agreement to break the earlier printing plates, and carve fresh ones that returned each card to its philosophical center and stabilized a common canon. I can find no documentation to cite for this development, but anybody who owns the first two volumes of Kaplan's Tarot Encyclopedia can see this for himself or herself. Also, a visit to http://tarot-history.com/index.html will grant the interested reader a glimpse of the decks produced right at the cusp of the wave of standardization in France. These packs represent the oldest versions of the resultant Marseilles tradition, a style that unwitting moderns tend to think of as old and staid by comparison to the dizzying transformations appearing on the cards in the 20th and 21st centuries. It can be hard to grasp that these packs were actually state-of-the-art at the time, representing collective consensus within a two-century-old conversation that abruptly matured and gelled right at this point in history. In the first segment of this chapter, discussion centered on some of the ways the emerging "secret society" movement was impacting European esotericism and its reflection on faces of the Tarot cards. Emphasis was laid upon the Egyptianizing impulse exemplified by Kircher, the circulation of a Fratres Lucis-originated manuscript expounding initiatory and philosophical meanings for the Trumps, and the collection of Tarot decks that carried those influences forward into the 20th century. Now I'd like to highlight some other considerations to be investigated which lean more heavily on the astro-alphanumeric (AAN) correspondences which are the hallmark of esotericism in any century. In addition to the emergence of the Fratres Lucis-style images of the Devil and the Lovers in the 1660's, the European Lodges also began to promulgate a set of AAN correspondences for the Trumps that are cousins to the traditional Sefir Yetzira model which the Jews that had been circulating among themselves and with the Christian Cabbalists in Europe since the thirteenth century. I have dubbed these correspondences the Alexandrian Hermetic system, referencing the Pythagorean alphabetic reform set in place around 600 BC and revived during the flowering of Alexandrian culture after 300 BC. These correspondences, slightly different than those given in any redaction of the Sefir Yetzira of the Jews, are the only other version of the letter/number correspondences we can be sure are truly authentic and founded in antiquity. In citing this development I am following Fideler, Hulse, Barnwell and Barry in their explication of the emergence of alphabetic mysticism in the West. In the future we will unpack the issues that tie the sacred alphabets together and cause the variations we experience in the Continental decks. The correspondences that end up being canonized in Tarot esotericism demonstrate an undeniable relationship with Hebrew AAN tradition. Yet the Tarot AAN differ from the Hebrew versions in the exact same way that existing Hebrew redactions of this book differ from each other -- the seven Planetary Letters show re-arrangement between themselves, though the 12 letters corresponded to the Signs and the 3 letters corresponded to the Elements remain the same. Etteilla must have known and taught these correspondences in the late 1700s, because a consortium of his Italian students redacted his Trumps back to the Marseilles model in the years just following his death (see the Cartomancia Italiana Tarot, dated by Kaplan to the beginning of the 19th century). Nevertheless, the sign and planet correspondences printed on the faces of Etteilla's cards reflect the divinatory methods he was marketing to his contemporary public rather than the "inner school" AAN correspondences that had come down through the Orders with which he was affiliated. (His "new" art of Tarot divination was the stated reason for his changes to the Trumps in the first place.) Levi made a subtle modification to this AAN list in the late 1800s, after which all the European Rosicrucian and Masonic lodges used Levi's adjusted list, (with the exception of the English), right up to the 20th century. In their heyday, Etteilla's Tarots became the most famous decks in Europe other than the Marseilles packs. A late offshoot of Etteilla's pack, the Catalan Tarot, became the first 78- card Tarot deck published in Spain in 1900, according to Fournier's playing card encyclopedia. Etteilla-style Tarots became progressively more ornate across the 19th century (see Kaplan's Encyclopedia, Vol. 1, p. 141-144 and Vol. 2, p. 400-410). A shortened version was also printed in France at the end of the 19th century to simplify it for fortune telling. In Italy, the 19th century Cartomancia restated the esoteric matrix sub-standing Etteilla's Trumps; that Tarot has made it considerably easier to unscramble which of Etteilla's images relate to which Trumps of the older Tarots, as the other sources mentioned below have only partial information in their lists. Over two centuries of reprinting in multiple countries, the Etteilla cards began to show considerable corruption in the letter/astrology correspondences, making a confusing situation even more difficult to unravel. The two lists I am citing to detail Etteilla's esoteric grounding in historical astro-alphanumeric correspondences are the one given by Papus in the late 1800s, and Stuart Kaplan's version in Vol. I of his Encyclopedia. Papus was the recognized expert of his time and was cited by all English, French and Spanish Tarot writers of his day. I trust his reporting, although his information only goes so far as to confirm the link between Etteilla's Trumps to the more usual versions of the Marseilles Trumps (in keeping with the Cartomancia). Stuart Kaplan shows a differently organized version of the same set in his Encyclopedia of Tarot, Vol. 1, apparently having found the esoteric astrology correspondences in Etteilla's writings. These correspondences had become standard for all of Europe's Secret Societies and their Tarots by the time of Levi. That would make Etteilla the harbinger of the late-appearing Egyptian-style decks, which include the Falconnier/Wegener Tarot, its modern cognate the St. Germaine Tarot, the Ibis, the Egypcios Kier and the Brotherhood of Light Tarot. 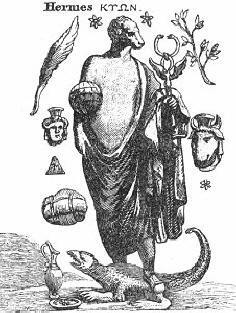 All these Tarots bear Egyptian-style images (which I have stated earlier could be Serapian-inspired, reflected through A. Kircher's synthetic genius). The texts of these decks reference, to a greater or lesser degree, the Fratres Lucis text translated and published by Paul Christian in his History of Magic. Again, the numbers and signs printed on Etteilla's' cards exist in their own little universe, as they are purposefully rearranged compared to any previous Tarot ordering. This body of attributions is not meant to reflect esoteric "secret society" practice, but is his own invented divinatory model, for which he became famous. What is true to the Alexandrian stream are the underlying astro-alpha-numerology connections taught by Etteilla to his occult students, then later reaffirmed for the mainstream through the Cartomancia deck, the writings of Papus, and Kaplan's encyclopedia. What was Etteilla attempting to do with his modified pack? Etteilla, like Lazzarelli before him, was attempting to realign the images of the Major Arcana with the Greek creation story, itself an Alexandrian modification of the ancient Hebrew mythos of middle-eastern origin. Recent research shows that in changing the images of the Major Arcana, Etteilla was drawing from a Hermetic book, The Poimandres, a Greek treatise on the creation of the world and the fall of humanity into Eros. (See A Wicked Pack of Cards by Dumett et. al.) Essentially this document is a Greek version of the Genesis story, but with differing names and an altered ordering of events. It fits the standard type of an hypostasis narrative. An hypostasis is a detailed recitation of the stages that The Creator used to step down universal power so it can be organized into a time-space world peopled with creatures. The Kabala Tree is one such narrative, evident when you follow the angles of the Lightning Bolt as it descends through the planetary Sephira into matter. Such presentations are a recognizable feature of a Mystery School format. This is the classic "how the world came to be" narrative. Etteilla's images and titles assimilated the seven days of creation theme directly from The Poimandres (or "Pymander"; there are several spellings). This is one of the manuscripts the Moors carried off from Alexandria in the sixth century, which later returned to Europe in the late 1400's. By so explicitly detailing a seven days of creation theme that is not the Judeo-Christian version, he is waving a red flag, stating without words that "this is not the folk Tarot that can be passed off as Catholic." Etteilla also includes a picture of the Hermetic Cosmos, modeled at the peak of the Mantegna Emblem series, to make it crystal clear that his loyalty rests with the Alexandrian cultural model rather than the Christian. Perhaps the workings of democratic groups like the Fratres Lucis emboldened him to tell his truth, if only in veiled form, and only in the pictures. In hindsight, he was getting away with a lot! Along with referencing the Greek and Hermetic stream of Gnosis as the source of his Arcana, Etteilla also reintroduced certain themes that were present in the earliest handmade and wood blocked Tarots but which had been set aside by cultural fads and through the efforts of the Church. Etteilla restored the earliest Goddess images that had been replaced by male figures like Hercules (Strength), Mars (The Chariot), and the Hanged Man (Prudence), not to mention any extra Popes and Emperors. To my eye, Etteilla was attempting to revive a more blatant representation of the Sophianic, Hebrew, Gnostic and Hermetic mysticism so popular among the magi of the Renaissance. Gresham Scholem asserts this very theme in many places in his excellent works--which the Gnostic thread so vigorously suppressed within Catholicism from century to century was by no means a purely Christian phenomenon, but instead was shared by the Jewish Gnosticism fermenting locally at the same time. Perhaps by clothing his Trumps in Hermetic garb, Etteilla hoped to more fully cement the link between Alexandrian culture and Gnosis in Tarot tradition. It is too bad that the layers of veiling he applied to his Arcana have obscured them for so long! 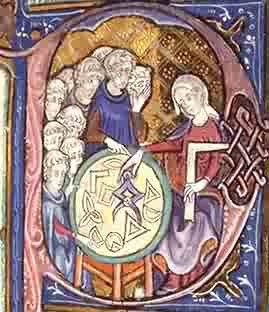 Etteilla also put the signs of the zodiac on the faces of his first twelve Arcana, although again following no previous traditional ordering system, but super-imposing his own logic, then claiming it was from the Hebrew. However, as we have seen above, he was, in fact, working with and teaching the Hermetic/ Alexandrian variation, which dates back to Pythagorean corrections of the Greek alphabet in the 7th century BCE. Elizabeth Cooper-Oakley's book The Count of St. Germain names Etteilla as a compatriot to Masons and Martinists in his time. We also can see that he was sharing Kabalistic correspondences that are in line with what we know of Pythagorean and Hermetic teachings, at least with his senior students. As well, his Tarots became the most popular and influential of the world's Tarots in the century following their publication. Why, then, do Tarot historians invariably skim over him so lightly? It is a measure of his success as a lodge member that the popular press has never seen the esoteric merit of these Tarots. His contribution has been, as it were, hidden in plain sight. To rectify this situation, and to demonstrate the chain of transmission that brought the ancient AAN correspondences forward from the Renaissance through Etteilla and into the 20th century, I will prepare a future article on the hybrid Hebrew/Christian transmission under the title "Was Etteilla an Initiate?" It is more than likely that the Etteilla Tarot is the "blind" that the English writers from the early 20th century were warning students against getting caught up in. I can appreciate the thicket of considerations the Etteilla Tarot raises, appearing, as it seems to, "out of the blue" and stealing the show so completely in its century that some scholars of his day feared Etteilla's Tarots would push out all the other decks on the market. However, if Papus and Kaplan are correct, and the similarities between Etteilla's Arcana images and the Fratres Lucis model are not accidental, it becomes clearer how important Etteilla's Tarot is for transmitting historical values, like a fly in amber, until we could finally decode them. His correspondences, both in the images and in the non-divinatory attributions, reach back to an ancient strata of magic, theurgy and mysticism referring us to Alexandrian sources rather than the parallel Judeo-Christian ones. It is important to note that in the Trumps that Etteilla chose to rework to his own liking, he shows a high degree of literacy in the canon of magical art and the earliest Tarots. Though this is only my opinion, it seems that Etteilla was directly inspired in his restatement of the Trumps by exposure to the Lazzarelli Trumps. I feel that the portrayal of Etteilla by exoteric history is a second layer of "blind" thrown up to veil the importance of his Tarot. For all of Levi's bluster about the imperfection of the Etteilla Tarots, it is no accident that a century later, Papus would borrow the entire framework for his own Minor Arcana from Etteilla! Returning to Secret Society lore, let us note that Clymer spares no pains in mentioning, among those rosters of illustrious lodge members and esoteric scholars, that Eliphas Levi was the Supreme Grand Master of the Fraternitas Rosae Crucis of Europe (with the exception of England) from 1856 until his death in 1875. This makes him a distinctly more interesting person than has yet been admitted by his translators or biographers. The few presentations of this man and his life work available right now would have one believe that his importance to the transmission of the esoteric paradigm was mostly in his own mind! Some modern Tarot scholars seem genuinely puzzled that he commanded such respect from the European intelligentsia of his day, a huge oversight in view of the facts as stated by Clymer. 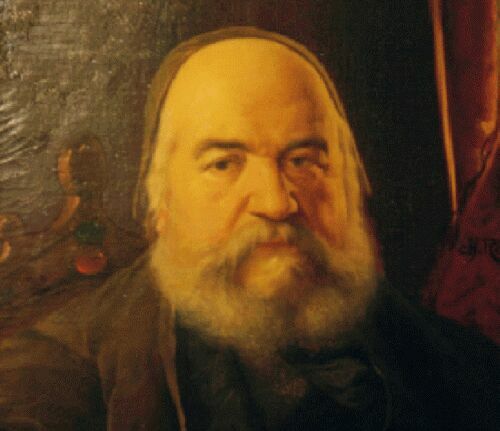 Whatever aspersions have been cast by the dubious upon the name of Eliphas Levi, esoteric tradition reveals his steadying influence in the chaos that the Secret Societies were experiencing during his tenure as Supreme Grand Master. For one thing, he served as Grand Master for over twenty of the most difficult years the combined orders had faced in his century (the siege of Paris during the Franco-Prussian War). Further, his name and writings mark a turning point for esoteric Tarot, making it more accessible for the masses after the century of Etteilla's confusing tarots. Clymer also names him as a Kabalistic and Magean Initiate, and a member of L'Ordre Du Lit. The books for which Levi is most known appeared during his earliest years as the Grand Master. In them he indicated the Sefir Yetzira, Pythagoras and Court de Gebelin (among others) as sources for the letter/Arcana/astrological codes and correspondences used within the Fraternitas (Levi's History of Magic, p. 76-7). In an article called "The Science of the Prophets" found in The Mysteries of Magic, a digest of Levi's writings translated by A. E. Waite (p. 275-288), Levi lays out his Hebrew letter/Arcana correspondences very clearly, with no ambiguity. If his attributions were spurious or mistaken, there was plenty of time for his peers to critique his assertions when he was still alive. But no such controversy ever erupted, because these were the common correspondences all over Europe and had been so for over a century already. Only after his death, upon the disposal of his papers and the translating of his works, did the efforts at revisionism begin. 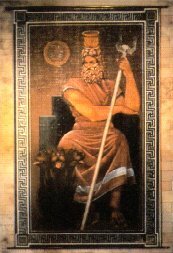 It is clear that Eliphas Levi's reputation for esoteric scholarship and high status in the Secret Societies made it easier for his attributions to become the standard European pattern from the late 1900s until today. Yet a few Tarots continued to follow the older pattern represented by Etteilla. The switch is subtle, because nothing changes with the Hebrew letters, their sequence, or their elemental attribution. The 21st card remains Fire, associated with the letter Shin. But Levi and the decks that grew out of his work show the letter Shin on The Fool, holding the penultimate 21st place in the sequence but numbered #0, followed by Tav on The World card in the final, 22nd place. The element/ planet correspondences with the letters stay the same, but the Trumps themselves switch places in the sequence. It is possible that while working with Charles Nodier and Jean Baptiste Pitois (AKA Paul Christian) on the spoils of Napoleon's sack of the Vatican, cataloging and translating manuscripts from disbanded heretical monasteries of earlier centuries, Levi discovered something that inspired him to make this adjustment. So far I have found nothing among his translated writings that explains this transposition. Christopher Lehrich characterizes Levi's Kabala as being Lurianic, in harmony with the stream of Boehmenists, Illuminists, and Freemasons with whom he was associated. (See The Language of Demons and Angels, p. 209) Papus details the transmission in his The Kabala, and more modern research confirms these indications. In point of fact, no amount of juggling can reconcile the planetary correspondences within the Hebrew alphabet that are so notably diverse among different redactions of the Sefir Yetzira. This is a problem that the Jews themselves had struggled with for generations before Levi ever entered the scene. In his introduction to Oswald Wirth's insightful booklet Introduction to the Study of Tarot, Stuart Kaplan states that Wirth was following Levi in putting the Fool between Judgment and the World, while "in the Arabic sequence, The Fool was designated 22 or 0" (p. 9). This is the one and only time I have seen "the Arabic sequence" mentioned, but there is no doubt that the astro-alphanumeric correspondences to the Arabic alphabet are just as important to Islam as they are to Judaism. 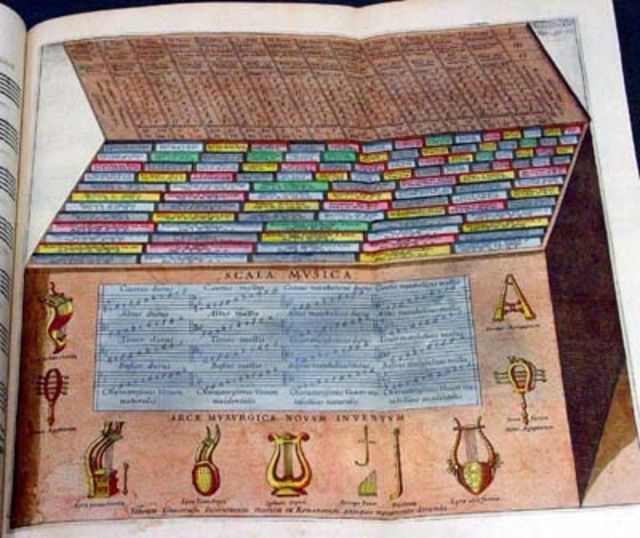 Kircher's collation of all the magical alphabets he could find brought the information back into European consciousness in the late 1600s, to effect the "correction" that the Marseilles and later Etteilla Tarots represent. In any case, it seems that Levi's subtle modification set the pattern of correspondences leading to the decks by Papus, Wirth and the one named after Cagliostro. 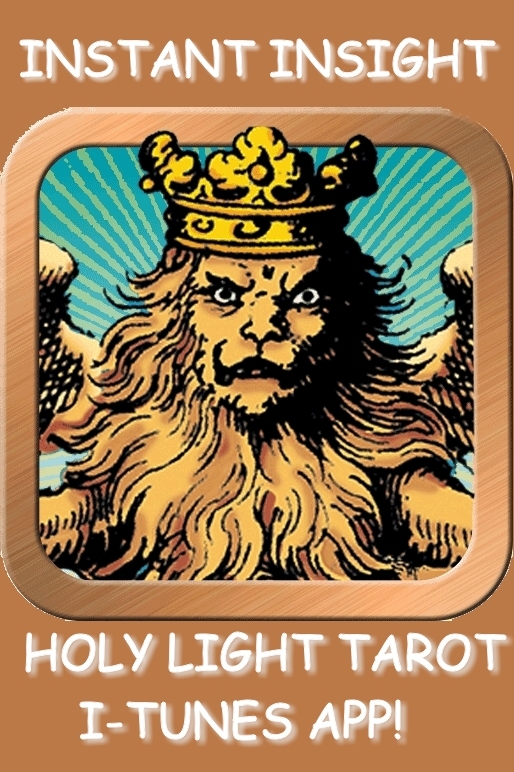 The lion's share of modern European esoteric Tarots seems to be informed by this style of connecting the letters to the Arcana, no matter whether or how they splice on the astrology after the fact. Eliphas Levi was not the only Initiate to suffer postmortem redactions and come out looking significantly reduced in the translation. I believe an unwritten mandate within the Societies ensures that when a member comes out with a book, deck or course of training that is too power-packed with insider teachings, or if it looks like it might be misunderstood or misapplied, several generations of lodge members following after it will have to disclaim whatever they contain. Etteilla disclaims de Gebelin. Levi disclaims Etteilla. Levi's Golden Dawn translators play havoc with him. Papus disclaims Christian/Pitois, and Waite repudiates them all. So even those who were seen by Secret Society members as correctly presenting the esoteric paradigm (Etteilla and Levi, for instance) felt they had to hide their treasures under a veil of obfuscation, retaining the innermost secrets for "those who had eyes to see." Even though Levi states in public that he thinks Etteilla's Tarots are misguided and erroneous, in truth he is using the very same system, with only the slightest amendments. And neither Levi nor Etteilla was entirely truthful about where the attributions came from. We must try to keep this trend in mind when we see how disparaging the English Tarot writers were about Levi just forty or fifty years later (see "The English School"). Doubtless, both Etteilla and Levi were educated occultists who would most likely have been exposed to whatever versions of esoteric correspondences were being taught and used in the widespread Secret Society groups of their respective times. Yet they chose not to specify that they were each representing the Alexandrian/Hermetic branch of the Hebrew tradition rather than the parallel Semitic branch as originally defined in the Sefir Yetzira. Meanwhile, some remarks from Christopher Lehrich in The Language of Demons and Angels (p. 209) suggest that Christian Cabalist metaphysical linguistic philosophy such as that found in Agrippa, Postel, and the magi up to Knorr von Rosenrath and Robert Fludd (mid 17th century) died out as knowledge of actual Hebrew Kabbalah spread and there was better transmission between the streams. 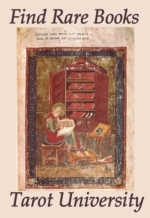 The Christian stream of QBL was neither sufficiently Christian to be included into the orthodox canon, nor was it sufficiently Jewish to make it into the modern history books before Scholem. Therefore this stage of the movement fell between the cracks and failed to be registered on the radar of either Hebrew or Christian scholars before the 1990's. In light of the above, we can now define the Continental Tarot as comprised of a lineage of lodge brothers collectively committed to the survival of the Hermetic/Alexandrian Gnosis, already old and revered at the time of the founding of the Fraternitas. The first handmade Tarots reveal affinities with the Hebrew/Hermetic/Gnostic preoccupations of the earliest Renaissance magi. Those Tarots were eventually adjusted by later printers, resulting in the promulgation of mass-produced decks that express compromises, landing somewhere between the original flash cards for the Mysteries and simple folk packs most suitable for card games. (See "The Confluence of Ancient Systems"). Kircher, the Illuminist movement, the Fratres Lucis, Etteilla and his Lodge brothers, Levi, Papus and subsequent Tarot esotericists eventually re-imprinted a more esoteric version of the ancient Trumps into the collective consciousness. This was largely an underground endeavor until Levi laid it out in a systematic way for the whole of the Fraternitas. We have seen that this stream of Tarots has formed the riverbed in which most modern European Tarots (not of the English stream) are flowing. The meta-theory underlying most of this material is that the Rosecrucians, Masons and Illuminists, especially the Martinist Lodge, have made it their business to save and revive the Inner Tradition of Tarot. The Continental Esoteric Tarots perpetuate representations of the ancient Hermetic/Alexandrian Mysteries, of the earliest proto-Tarots, and of the secret documents from the middle Ages. This is one reason for calling the nineteenth century the French Occult Revival. 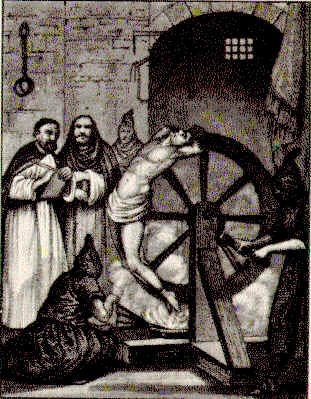 Most sources point to Levi as the figurehead, but the dates prove that he was coasting on the previous several centuries' momentum. 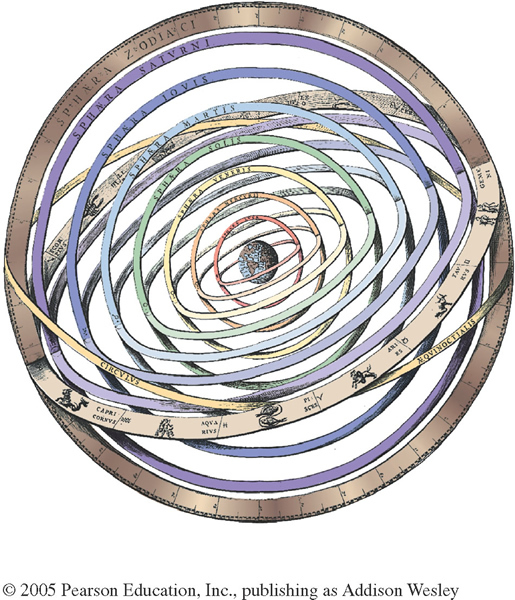 As mentioned earlier, the writers who have followed Levi's "adjusted" correspondences, from the late 1800s to this day, place the Tav on the World card, while the letter Shin is on the Fool (see the essay "The Confluence of Ancient Systems"). I think we can use this variation as another marker to show which Tarots were constructed by Fraternitas members after Levi, versus those who are reflecting the Fratres Lucis document of the 1600s. (For example, Corinne Heline in her fascinating The Bible & the Tarot follows Etteilla's formulation, placing Shin on the World and Tav on the Fool, as does Margaret B. Peeke in her book Numbers & Letter or the Thirty-Two Paths of Wisdom.) For further insight into the more recent esoteric decks that promote the assignment of Shin to the Fool, see Valentine Tomberg's priceless Meditations on the Tarot. Tomberg tells us that this correspondence was given to him from a "Martinist-Templar-Rosicrucian" confederation he belonged to in St. Petersburg, Russia in 1920. Tomberg's fellow lodge member Mouni Sadhu uses a redrawing of Court de Gebelin's images with Levi's correspondences in his extraordinary manual, The Tarot. Irene Gad's valuable Tarot and Individuation also teaches this arrangement, as do Elizabeth Haich in her book Wisdom of the Tarot, Oswald Wirth in his The Tarot of the Magicians, and Homer and Hariette Curtiss in their two excellent volumes The Key of Destiny and The Key to the Universe. Since the copyright information for images is radically inconsistent across the web, we attempt to attribute images where appropriate by placing a relevant link connecting the originating site when possible. Anyone objecting to the use of their image here can have it removed immediately - Ed.